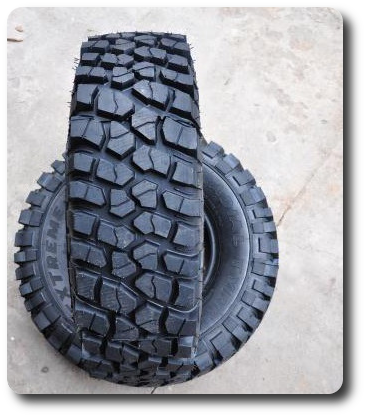 We offer you very high quality 4x4 tires regenerated. Our tires are approved by the European E 108 R-000 503. The best available materials and modern production technology allow us to provide the best value for money !!! Lower demand for raw materials and energy for new tires makes retreading more environmentally friendly. Any objections to the safety of use do not justify !!! Pneus Ovada has been working on tire regeneration for over thirty years. Passion for Off-road has made it almost from the outset producing 4x4 tires. Thanks to the use of state-of-the-art technologies and the highest quality materials, as one of the few in Europe they produce the MAXI CROSS tire known and appreciated by the riders. Currently he is one of the major manufacturers of regenerated tires for off-road cars. We offer tires for cars, SUVs and delivery vehicles.